After 12 years, the downtown Sarasota Whole Foods Market will be getting an updated look, The Sarasota News Leader has learned. The grocery — known locally as a catalyst for downtown revitalization before condominium complexes began multiplying near it, and even seen nationally as an early model for urban grocery projects — is slated to undergo renovation this year, a store representative has told the News Leader. “Across the region and Florida, we have been going through some remodeling in some of our older stores. The Sarasota store is part of that plan, and will get a refresh by the end of ,” Briana Madrid, Whole Foods spokeswoman and marketing coordinator for Florida, told the News Leader during an interview last week. The project is expected to feature new inside venues designed to enhance the downtown destination. However, Madrid said the chain would not likely reveal any specifics until this summer, when planning is more firmly in place. “I don’t have those details yet,” she told the News Leader. But Madrid did describe two potential upgrades, which are seen in other Florida stores that recently underwent renovations or are in the planning stages for Whole Foods store scheduled for remodeling. One is a wine bar where customers can take a seat and sip a glass of their favorite varietal. Another is a coffee bar that creates a café atmosphere inside the store. Preliminary plans for improvements at the national chain’s original Sarasota location on First Street were quietly in the works as Whole Foods worked to secure Sarasota County Commission approval for a second store to anchor a development at Honore Avenue and University Parkway. The company’s plans for that property, which include destruction of wetlands, have been controversial in the community. The University Parkway project, premised on a mitigation plan that essentially involves swapping 4.5 acres in Sarasota County for a 34.5-acre parcel 6 miles away in Manatee County, was approved by a 4-1 County Commission vote last month. Another recent renovation project in the Sunshine State focused on Boca Rotan’s Whole Foods, which is in the University Commons retail center. A wine cellar with hard-to-find and $10 wines was added to the store. 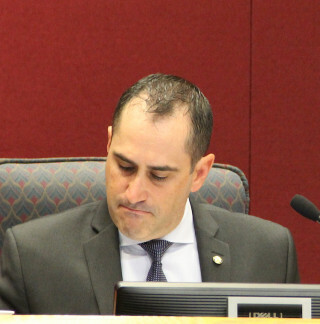 Sarasota County Commissioner Paul Caragiulo — who served as city commissioner from 2011 to 2014 — said the project involving the Sarasota cornerstone grocery is good news. Caragiulo pointed out that the planned facelift is reassurance that the store will remain in place for some time, though the Market Centre where it serves as the anchor was sold in 2014. According to an October 2014 Tampa Bay Business Journal article, the retail center was sold to the Daytona Beach firm Consolidated-Tomoka Land Co. for $19.1 million. Market Centre includes a total of 59,000 square feet of retail space and a parking garage. Tomoka is a Florida-based publicly traded real estate company. Records on the Sarasota County Property Appraiser’s Office website show that the deal closed on Oct. 7, 2014. The seller was Casto Southeast Realty Service, the original developer of the downtown Whole Foods project. According to the website for Market Centre, Casto continues to lease and manage the property. Ron Soto, owner of Soto Optics on Main Street and a member of the city’s Downtown Improvement District board, also sees the renovation of the grocery as positive news for the community. “Any time you invest in downtown, it is a good thing, especially with all these new condos and hotels going in,” Soto said. Madrid told the News Leader that Whole Foods’ corporate staff “loves being in that location,” and the store has helped the company build roots in the community. Whole Foods’ research shows the area can support two stores, she added, and the chain looks forward to operating in both locations after the University Parkway complex is completed, which is scheduled for the summer of 2017. 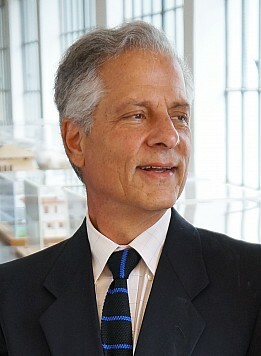 In consulting work for the community, urban planner Andres Duany emphasized that downtown Sarasota needed a grocery store to accommodate a burgeoning residential population. And city leaders listened. 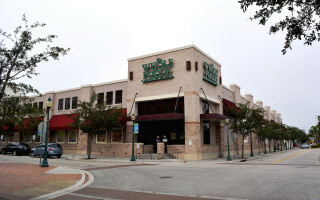 The Whole Foods Market and Market Centre on First Street were constructed using a portion of city land and about $3 million in tax incentives available through the city’s Downtown Sarasota Community Redevelopment Area (CRA). The store opened in 2004. 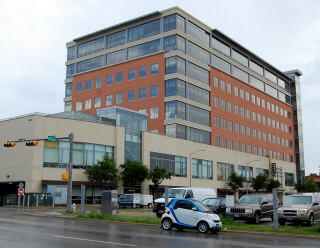 Several years later, former City Manager Mike McNees said the project had become a catalyst for downtown revitalization, because it let other developers know it was safe to invest in the area. Robert Gibbs, a retail consultant and urban planner who has been commissioned by the City of Sarasota to study the city’s retail market, told the News Leader that bringing in the grocery was instrumental in the city’s revitalization of downtown. “The city was really smart in making it work,” Gibbs noted. “It was the first or second or third city to do an urban Whole Foods.” Previously, he said, the grocery chain established stores in suburban markets or built them by interstates and freeways. The Sarasota Whole Foods “was largely responsible for many condos downtown and office [space], and that helped bring retail,” Gibbs added. Today, with the ongoing growth of downtown, the city could probably survive losing Whole Foods, Gibbs indicated. Nonetheless, that would be a big loss, Gibbs said, because Whole Foods remains an important part of the fabric of downtown attractions and commercial activity. The pioneering Urban Grocery Stores in Sarasota were, actually, Cheney’s Market which was located on Fruitville/Orange Ave and Winn-Dixie which was also on Fruitville between Orange and Lemon. Publix in Ringling Shopping Center was also established in the 50’s. Whole Foods is the new kid on the block and I won’t shop there any more due to their hypocrisy and lack of support for maintaining the wetlands on University/Honore.